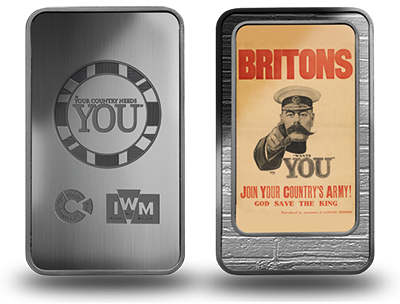 Thank you for your interest in the 'Britons, Join Your Country's Army!’ Ingot. Make your ingot even more special by having it beautifully layered in fine Silver and uniquely numbered for just £14.95 (plus £2.95 P&P). 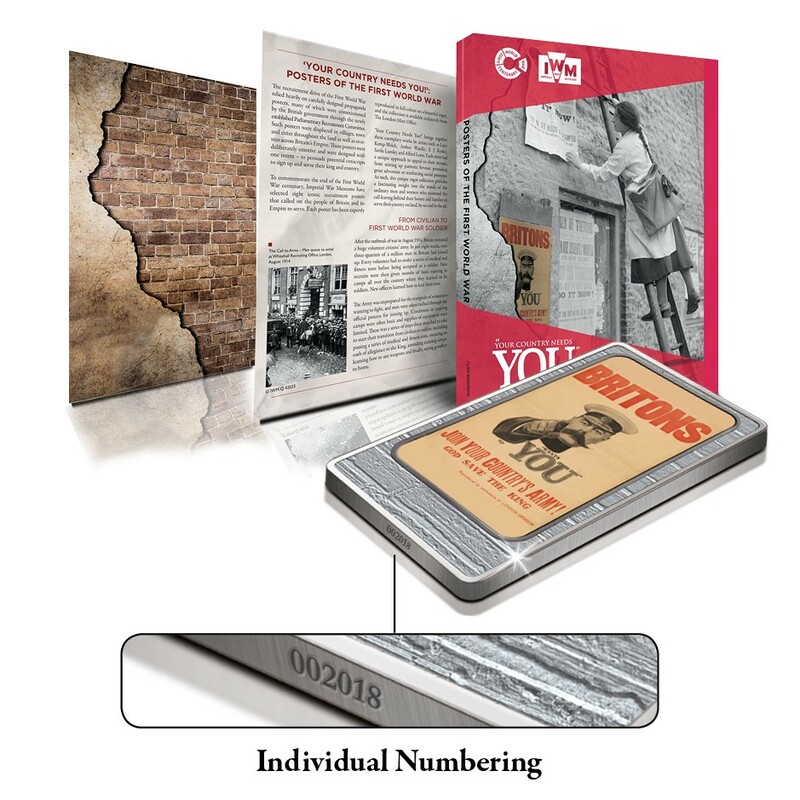 Your individual number will be laser etched on the edge, making your ingot an absolutely unique commemoration of the iconic poster that called a generation to serve.